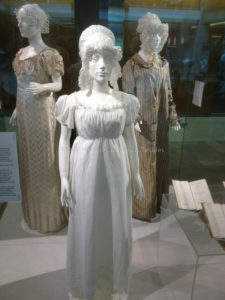 Jane Austen’s novels enjoy a huge popularity in spite of the shortness of her career, which ended at the age of 42 on July 18, 1817. 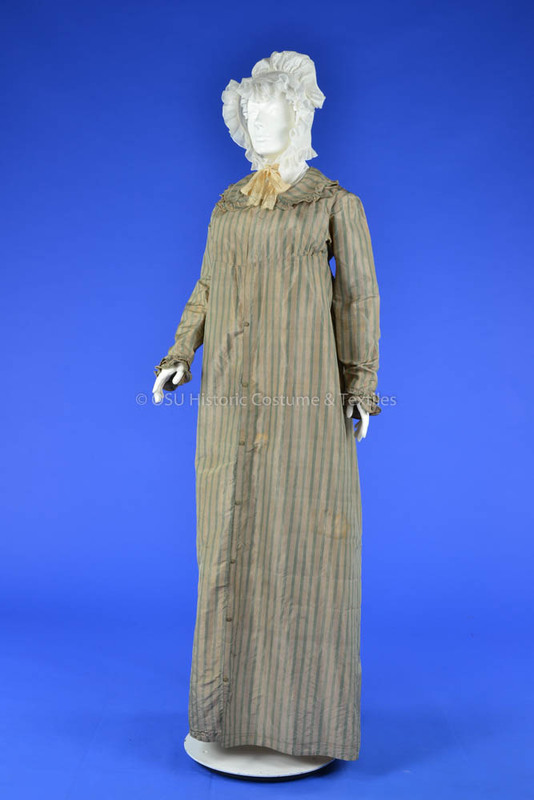 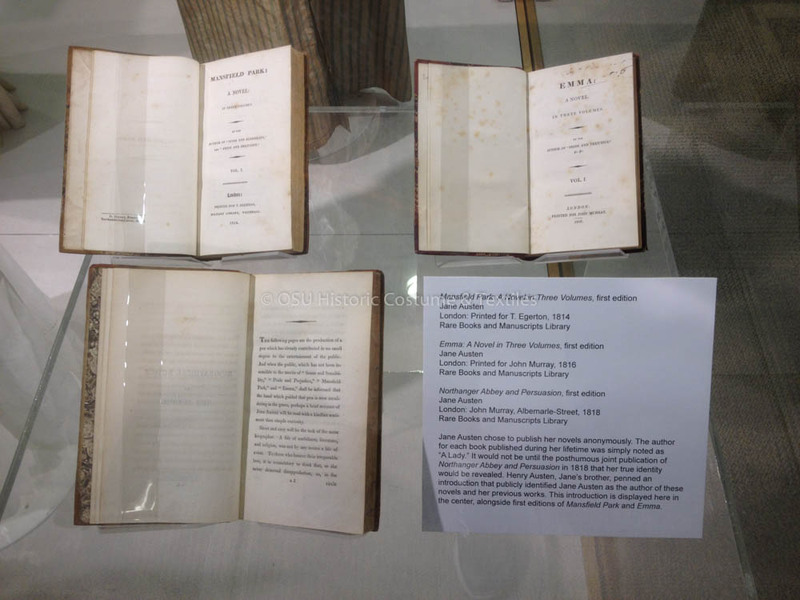 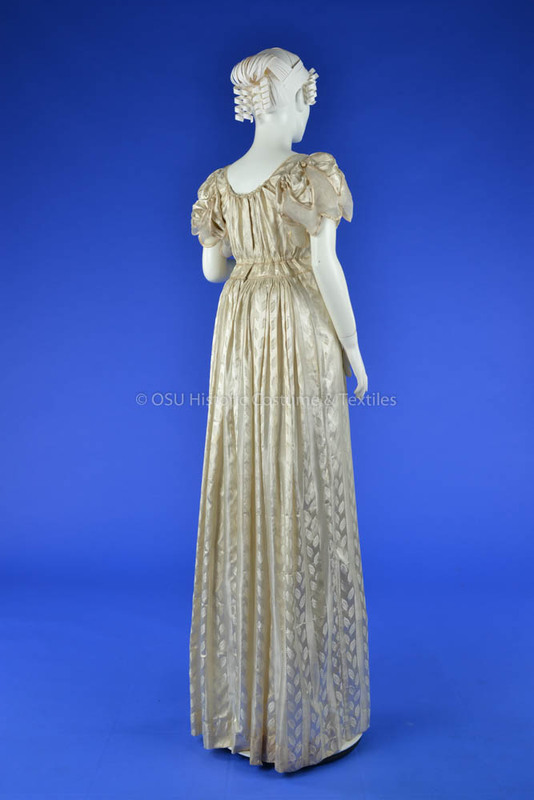 In recognition of her work and popularity, three Austen-era dresses from the HCTC accompanied by three first edition Austen novels from the OSU Rare Books and Manuscripts Library are on exhibit through December 15, 2017 at the Thompson Library in a large display case adjacent to the gallery on the first floor. 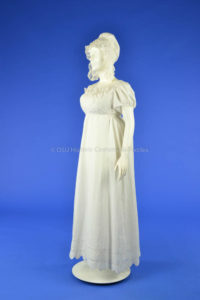 More about Austen is covered on our blog. 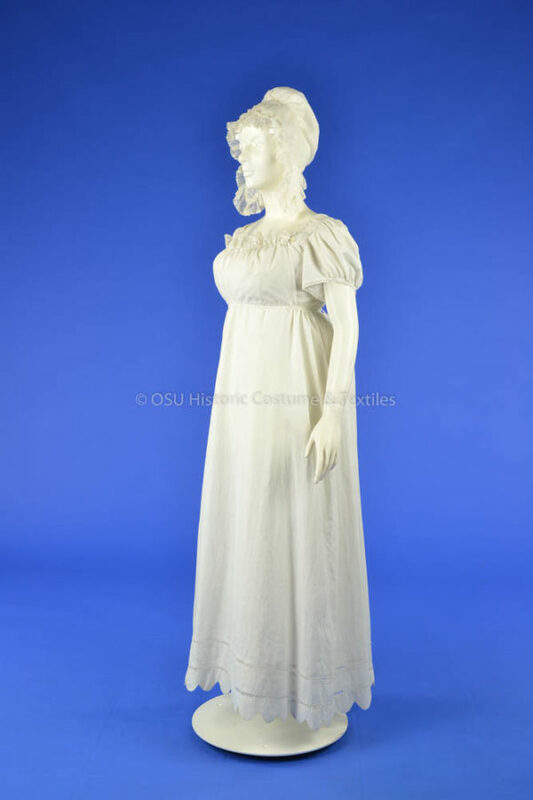 Note: the apron front dress will be moving to the Cartoon Couture exhibit at the Billy Ireland Cartoon Library and Museum on November 2, but available for viewing there beginning November 4 through April 15, 2018.